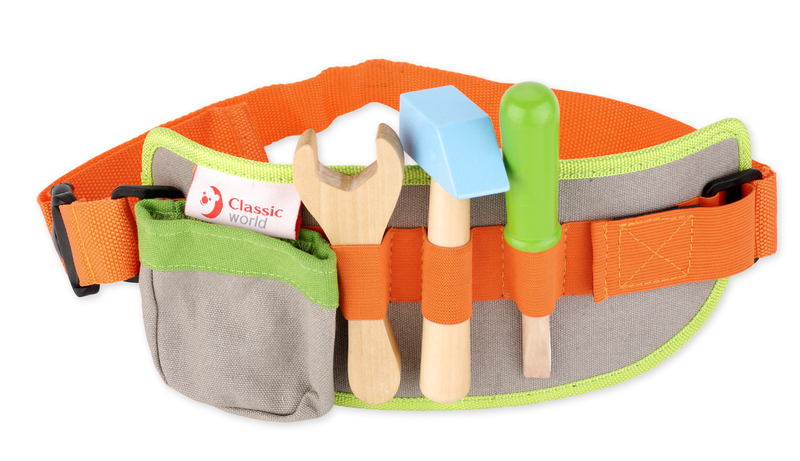 The tool belt contains a number of different tools, such as a hammer, wrench, screw driver and more! 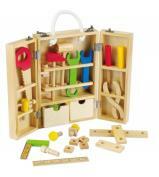 They are all packed in the smart looking tool belt which makes it convenient for the children to carry around. 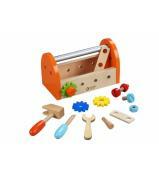 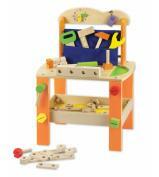 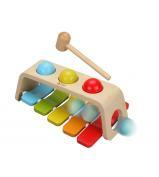 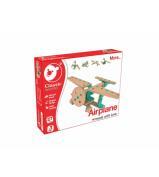 It also helps children to become familiar with the tools and how they work.